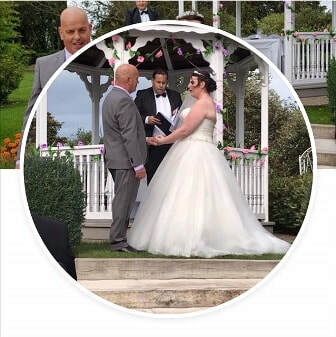 Thank you for taking the time to view our ' Be Blessed ' Package ' This is a very unique package which covers my Wedding Celebrant & Officiant service in order to construct and perform your perfect Blessing for your Wedding Day. I Cover Essex, London, Kent, Manchester, Birmingham, Devon, Leeds, Cambridge, Cheshire, Buckinghamshire, Berkshire, Sussex, Devon, Spain, Gibraltar, Greece & UK Nationwide and Worldwide. ​1/ Let me work with you in order to ensure your wedding blessing will be perfect, making this a very stress free process. It does not matter if there are just 5 or 1000 guests, my services are equally as beneficial for your very special day. ​It will be a pleasure to help you and work with you.